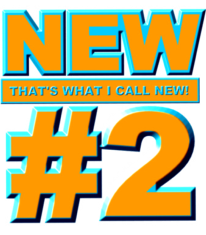 Cakeyboi: That's What I Call New #2! Firstly I was sent a new drink from a company called Nomadic. The drink is a thick and creamy yoghurt based mango lassi. It was to tie in with Diwali which occurred last Thursday, but I missed the boat on that one! Still didn’t stop me enjoying the drink though. It’s very filling and perfect for lunch or when you want a snack. The mango lassi from Nomadic retails at £1.49 for a 330ml bottle. Secondly, I was sent a jar of Robertson's Golden Shred marmalade. ‘That’s not new’ you may be thinking, and you’d be right. Golden Shred has been around for a long time. But, to tie in with the launch of the new Paddington bearmovie this November, the little bear on the jars has been updated to show the new CGI version of Paddington. 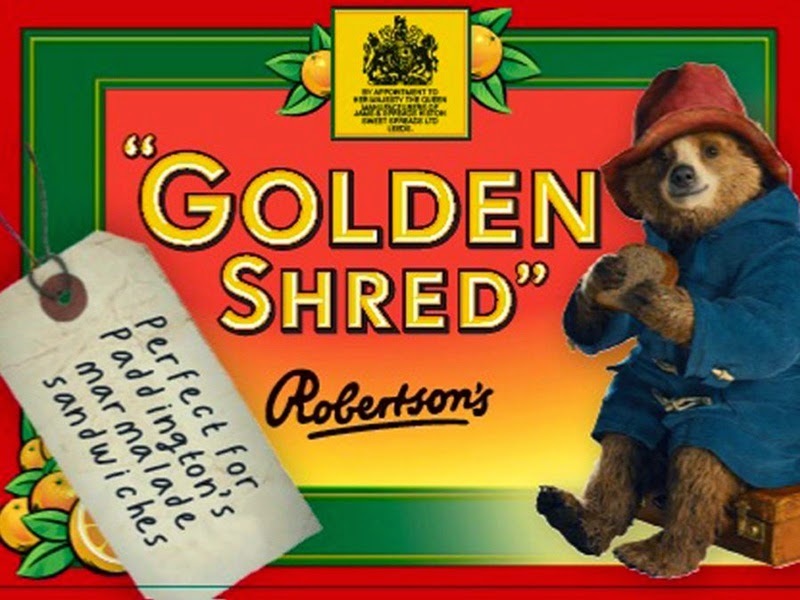 To me though, Paddington will always be the little bear from the 70’s programme voiced by Sir Michael Hordern. 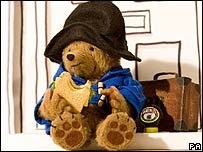 I’m still willing to give the new movie a try and scoff marmalade sandwiches whilst I ‘m doing it. Independent Cambridge-based chocolatiers Chocolat Chocolat, also contacted me to announce they have also expanded their business online selling the likes of chocolate bouquets, French specialities and gift-boxes. You can also create your own chocolate bar, topped with up to three toppings of your choice from a selection of dozens. I was offered three bars to try, to I ordered Apple, Cinnamon and Shortcake Crumble on dark chocolate, meringue, coconut and strawberry on milk chocolate and mint fragments, earl grey tea and lemon peel on white chocolate. The bars, which arrived within a couple of weeks, were of a very high quality. My only criticism, and some may say it’s a good thing, is that the chocolate is a bit too thick for me. At about 1cm thick, the flavourings got a bit lost with the amount of chocolate. A thinner bar would have worked better for me. But, like I say, some of you may prefer that! 1 bar starts at £5.95 up to 3 bars for £14.95. A great idea for Christmas gifts. At the BBC Good Food Show last week in Glasgow one of the exhibitors was a company called Stur. Stur is a natural fruit flavour water enhancer. Sweetened with stevia extract, it has no sugar, no calories and 100% of your recommended daily intake of vitamin C. I received 6 flavours to try – Cranberry Pomegranate, Lemon Tea, Peach Tea, Blackcurrant Apple, Orange Mango and Green Apple. I tried it in a bottle of water I had picked up in the supermarket and loved it. So much better than those new concentrates on the market, which are full of sugar. You can purchase 6 bottles for £19.98. Each bottle of Stur contains enough for 30 bottles of water, so not bad at all when you do the maths! I also stumbled upon a company called The Collective Dairy. They are a New Zealand company by origin who started up in the UK and sell the most delicious yoghurts you’ve ever tasted. I picked up one of their ‘suckies’ a suckable bag of yoghurt. Two small pots, one of blackcurrant and beetroot and one passion fruit. 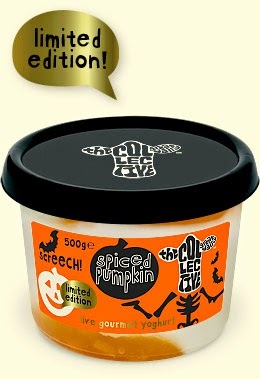 But my absolute favourite was a limited edition flavour – Spiced Pumpkin. They are really creative with their flavours, which is what I love. Available in lots of UK shops such as Boots, Tesco, Sainsbury’s and the Co-op to name a few. I highly recommend trying The Collective Dairy’s range. Disclosure Statement: I received some of the items free to review. Other items I purchased myself. I have not been paid for this post. Any opinions expressed are my own.